The chapter I wrote on the changing nature of the legal profession in the United Kingdom was published by the American Bar Association and is available from the following link:. The chapter was written for love rather than money, but if you enjoy my writing on this site or are just interested in the huge shifts in the profession, I’d encourage you to have a look. The other chapters are hugely insightful and I feel privileged to have been part of the project. 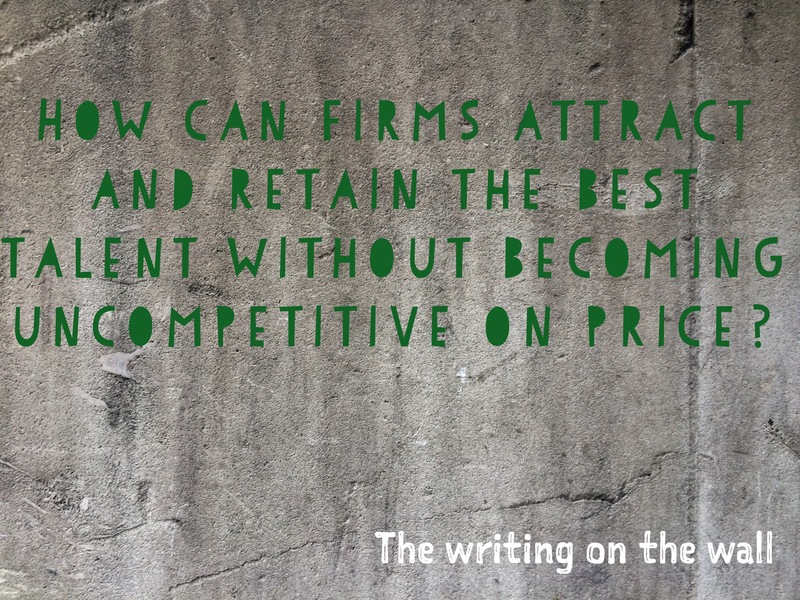 The writing on the wall #6 – quality talent equals high price? As the economy picks up, the gladiators pick up their weapons in the fight for talent again. With a raft of restructurings in the past five years, now that work is picking up, there are structural gaps in the talent profile of a number of similar firms. Make no mistake that the recession was long and deep enough that some very good people were cut adrift. 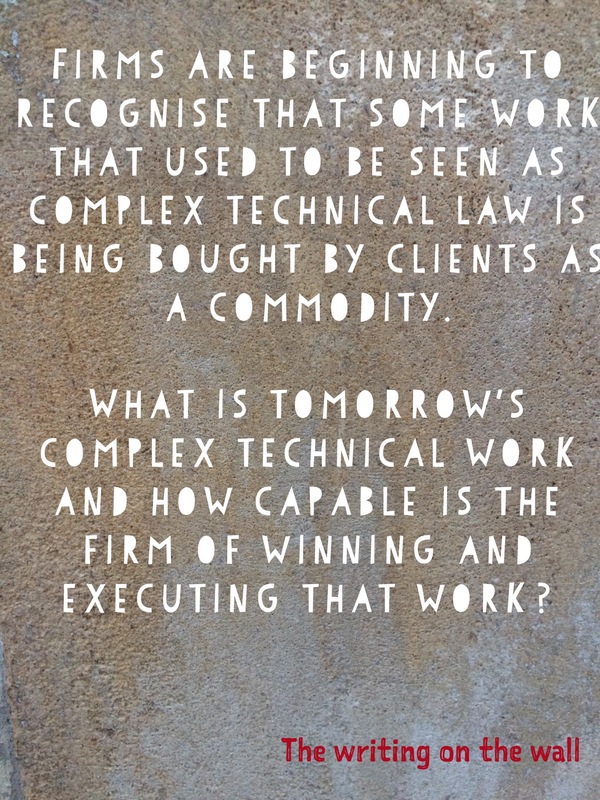 Some of these remain available to the big law firms, albeit that they may look at firms through different eyes (and as a result seek to negotiate a different type of employment relationship). However, plenty of talented lawyers have left the pool of potential employees. Many have found a more natural home in one of the many flexible resource pools that have grown significantly even during tough times, and these “nomadic lawyers” are less likely to be tempted back to the mothership. The lever many firms will look to pull, will be the big red salary one – paying premium wages for the best talent, and making a business case on the basis of the work these lawyers will not only service but help bring in. The challenge of course is that the market has changed, with general counsel now being far more price sensitive. If the clients are not willing to pay increased fees to pay for the influx of talent at premium wages, what gives? It seems that whatever the practice area, lawyers talk in hushed tones about their work becoming a commodity. Corporate law, employment law, technology law are among the areas where there is much gnashing of teeth and squeezing of margins. Much of the debate focuses on whether to do the commoditized elements and if so how to do them profitably, but there is little discussion of what will replace that work at the high end. I suspect the implications of this will be felt in the not-too-distant future. 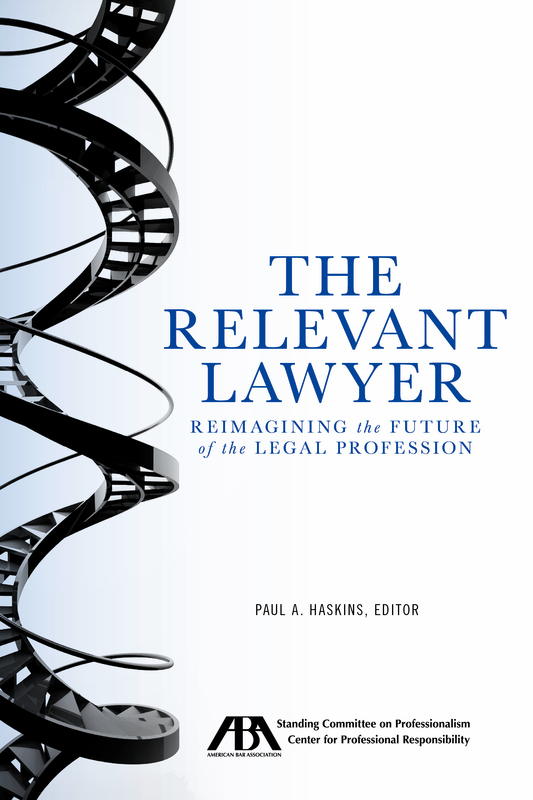 There is no shortage of commentary about the need for law firms to change in what is the most significant transition in the profession in a lifetime. 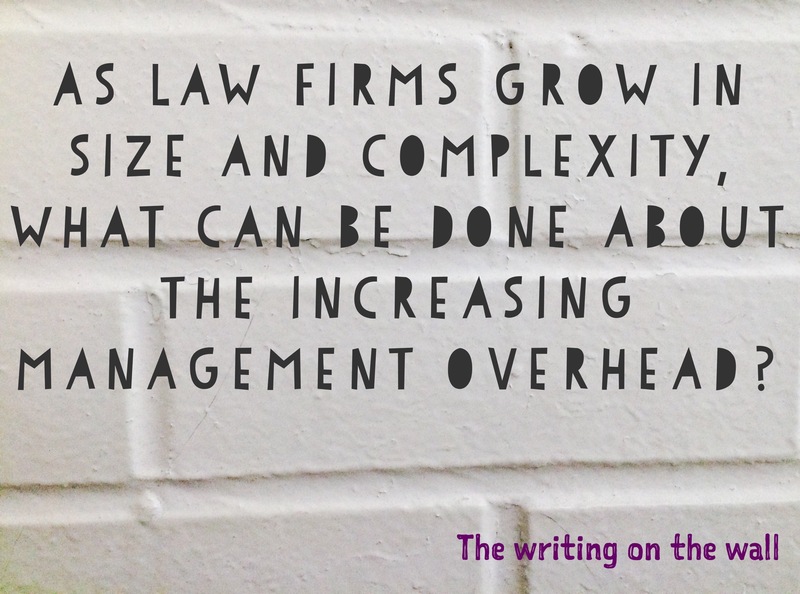 Theories from Darwin to Kotter are cited yet firms still struggle with the day to day reality of change. Partners speak of their frustration that things don’t move fast enough and clients are increasingly outspoken about the growing gap between their expectations and the service delivery they receive. So for your firm, what’s at the heart of the resistance to change, and critically what can you do to address it? 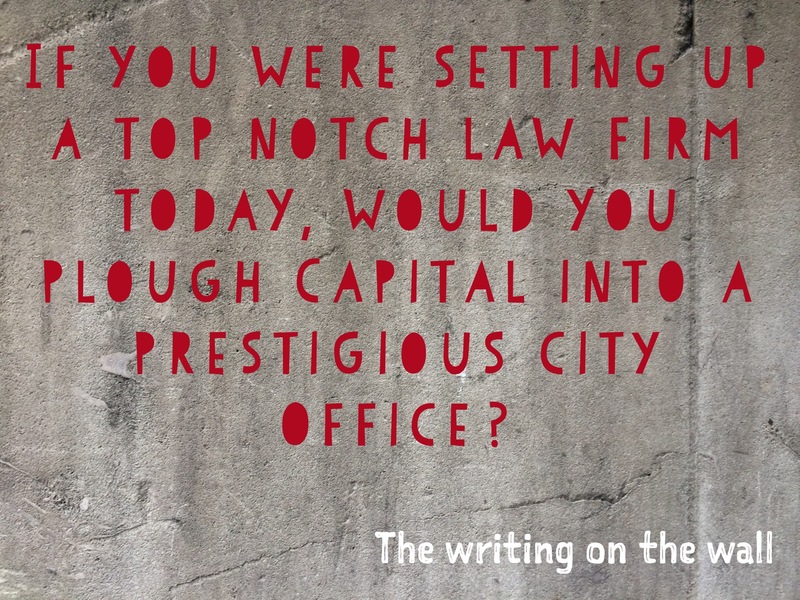 The writing’s on the wall #2 – scale back your offices? 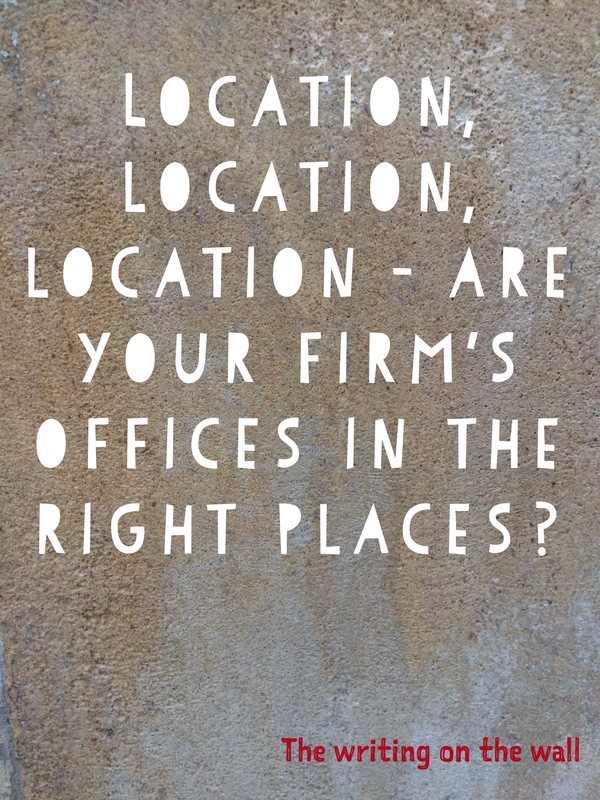 Given property is often the second biggest cost of a law firm behind head count, I wonder what the impact would be of scaling back prestigious offices and reinvesting some of the capital in technology that would make a real difference for clients.